The Phuket Access Resort & Villas is offering discounts up to 46% during the low season. With a minimum 2 night stay, rates are THB2,160 (USD70) for a Deluxe Pool Access Room or THB5,000 (USD162) for a Pool Suite. Rates include breakfast for 2 people, 10% service charge, and 7% local taxes. . The “Super Save” promotion is available until October 31, 2012. Rates are based on single or double occupancy. Children under the age of 12 can share the room for no additional charge, but breakfast costs THB250 (USD8). This promotion requires full pre-payment by credit card and no changes or cancellations are permitted. 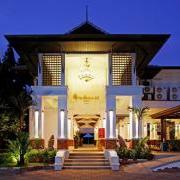 The Phuket Access Resort & Villas is a 4-star property at Karon Beach, Phuket. Each of the 139 guestrooms is stylishly furnished and has direct access into one of the 5 freeform swimming pools. For the ultimate luxury, the Suites have their own private swimming pool. 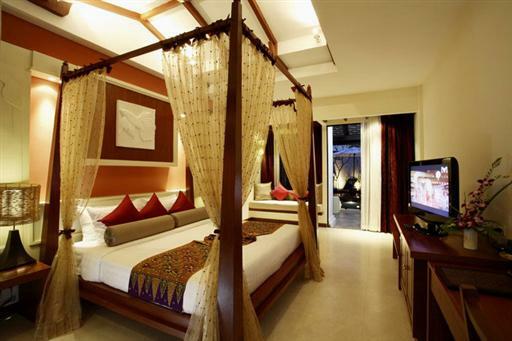 Other facilities include a day spa, fitness center, restaurants, and shuttle bus to Karon Beach. Visit http://www.accessresort.com/ for more information or to make an online booking.